Get ready for the night of your life! 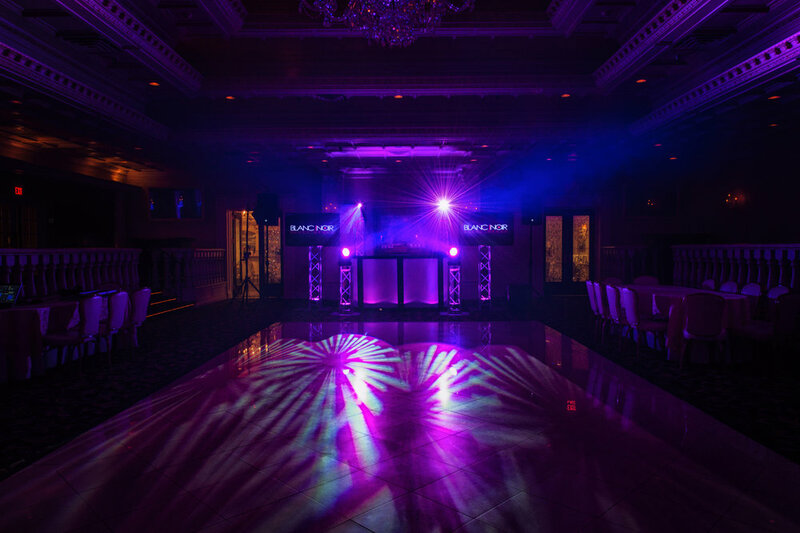 We bring nightclub-caliber Sweet 16 DJs, young & hip MCs (our Sweet 16 DJs are younger than 30) and the very BEST in Lighting & Event Design to create an amazing experience for your special day. Our DJs have spun at the hottest clubs in NYC and NJ - (some have even played in Europe and South America!) so you can rest assured that we have the musical knowledge and skills to keep your friends on the dance floor while we shine the spotlight on you. Pair our incredible DJ Talent with our Signature Enhancements and you will have the party of a lifetime. 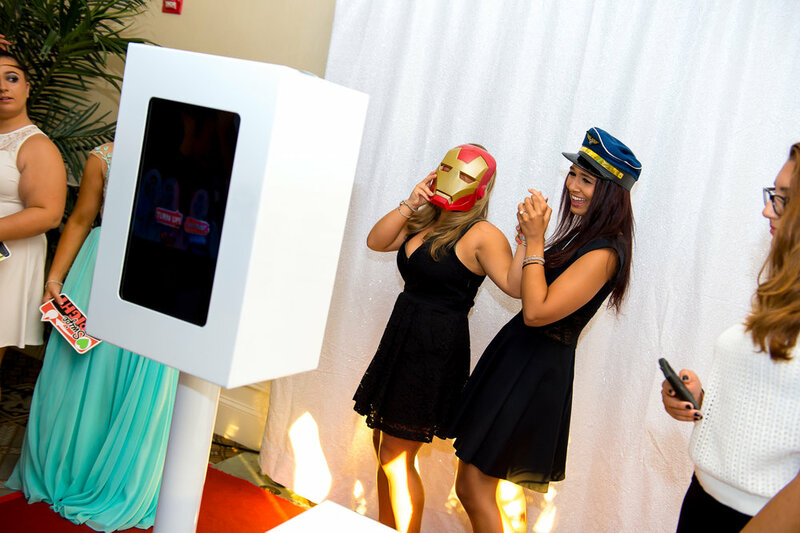 Choose from lighting design, open-concept photobooths and CO2 blasts to make your special day the talk of your school for weeks to come! Check out some of our demos below! Celebrate your Quince the BNEG way! Time to Celebrate in STYLE. Quinceañera (lit. meaning One (f.) who is fifteen), sometimes called "Fiesta de quince años", "Fiesta de Quinceañera", "Quince años" or simply "quince". A true celebration of life and the transformation of a young girl into adulthood. 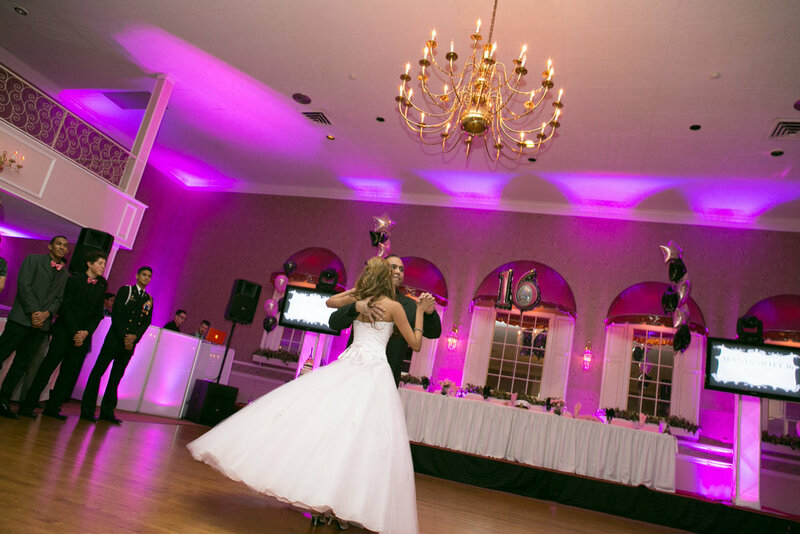 Blanc Noir Event Group specializes in Quinceañera celebrations throughout the Tri-state region. Our bilingual DJs and MCs have the experience and talent to turn your special day from dream to reality. We understand the importance of this milestone and we will manage all formalities; from the grand entrance, waltz, shoe and tiara ceremony to the father / daughter dance. Our latin background allows us to create a modern yet traditional musical atmosphere to match the culture and background of the guest of honor. A DJ can make or break your celebration, you can spend countless hours planning your event, selecting your court and dress.. don't let the wrong DJ be part of your special day. Our promise is this, we will provide you and your guests with modern, stylish, and affordable DJ entertainment for a once-in-a-lifetime celebration. Estas lista? | Are You Ready? Then give us a call at 973-751-1636.